Another contest serves as another opportunity for the Fourth Annual Poetry Contest. Photo Courtesy of School of English Studies. Students should be mindful of the guidelines for the contest. Students are asked to submit one to three poems that are no longer than two pages each. Moreover, the School of English Studies department is giving students the creative freedom to come up with a subject matter, style and form. The contest aims to be non-biased by judging blindly and asking students to stay anonymous. Furthermore, the department asks for students to refrain from including any identifying information in their poems. However, students are asked to submit a cover sheet that includes the student's name, ID number, contact information (such as email, phone number and address) and names of their poems. 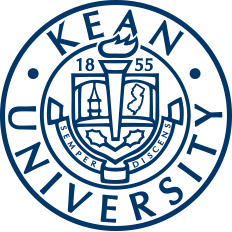 As mentioned before, the School of English Studies Award Ceremony will take place April 25 where winners will receive an award and will be published in the Kean Literary Journal. Nira Gupta-Casale, Ph.D., explained that the poetry contest was organized by the School of English Studies years ago and discontinued due to the lack of faculty support. However, she brought back the contest three years ago and encourages students to participate for the beneficial opportunity. "This was an active collaboration with Lisa Sisler and Tamara Hart, both of whom teach creative writing and composition in our department," said Gupta-Casale. "We saw that there was a lot of untapped and unrecognized creative energy among our student body and wanted to give all our undergraduates an opportunity to express themselves in poetry with the potential of rewards in cash and other prizes. Tamara came up with very creative gift baskets in addition to the cash prizes in the first year that we hosted this contest. This year, the contest is being run by Tamara and myself with a co-sponsorship by Sigma Tau Delta, Kean's English Honors Society. [Also] our judges are contemporary published poets residing and teaching in the NJ area." 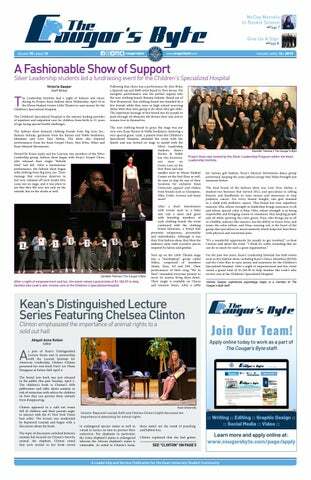 This year Gupta-Casale hopes to see more participation by students, especially non-English majors, as it shows creativity from the Kean community as a whole. "Non-English majors might have creative juices flowing in their veins, but may not necessarily think of themselves as "poets" just because their major might be chemistry or computer science," said Gupta-Casale. "This contest is a fun way to experiment with creative writing. It also gives students an opportunity to get published in the Literary Magazine published in our department, regardless of whether they win first or second prizes." Furthermore, Gupta-Casale encourages students to have fun, be creative, and play with words and language. "Bring your social media skills to bear upon a new form of expressiveness because poetry is a new platform," said Gupta-Casale. For students interested in this opportunity, take the initiative and submit the required information before Saturday, April 6. Additionally, submit the entries to either Dr. Gupta-Casale's or Professor Hart's mailbox in the Center for Academic Success (CAS), Room 301 or through email at ncasale@kean.edu and thart@kean.edu.